Hailed by critics as a "profoundly moving portrait", an "appeal to your heart and gut", and a "gripping story, eloquently told", He Named Me Malala is set to debut commercial-free on Monday February 29th on National Geographic Channel US and globally in 171 countries and 45 languages. On Monday, February 29th at 8/7c pm, the National Geographic Channel will present the exclusive global broadcast television premiere of the Academy Award winner Davis Guggenheim's feature documentary He Named Me Malala. The critically acclaimed film is an intimate portrait of Nobel Peace Prize Laureate Malala Yousafzai which will leave you reinvigorated and inspired. Malala was targeted by the Taliban and severely wounded by a gunshot when returning home on her school bus in Pakistan's Swat Valley for daring to say that girls should attend school. "This incredible and critically acclaimed file left movie audiences applauding this young woman's journey and left them wanting to make a difference". 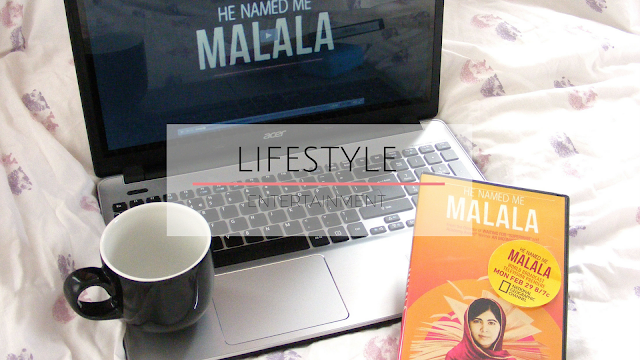 The documentary offers a look into Malala's life both before and after the attack. She was 15 at the time of the incident, when she was singled out, along with her father, for advocating for girls' education. The shooting sparked an outcry from supporters around the world. Malala miraculously survived and is now a leading campaigner for girls' education globally as co-founder of the Malala Fund. The film delivers an inside glimpse into this extraordinary young girl's life - from her close relationship with her father, who inspired her love for education, to her impassioned speeches at the United Nations, to joking around at home with her parents and brothers. Leading up to the television debut, Facebook fans can show their support to the cause by changing their profile picture using a custom-designed animation. On Twitter, users can contribute by using the hashtag #withMalala. For every profile picture changed and each tweet sent with the hashtag, 21st Century Fox, in partnership with NGC and National Geographic Channel, will donate $1 to the Malala Fund, for a total donation of up to $50,000.